Adrian Johnstone, the Chief Commercial Officer and Co-founder of Practifi, recently spoke to the Entrepreneur Podcast Network (EPN), where he went into depth about his company, what inspired its inception, and what the future holds for the financial advice and services industry as Practifi expands into the US market. Practifi is the business management platform for the financial advice industry. It is an exciting alternative to traditional CRM systems and offers an end-to-end solution that revolutionises financial services businesses by enabling them to reach their full growth potential. With Practifi you can run your business on the cloud, automate your workflows, integrate the best tools and build the advice business you’ve always imagined. Speaking with Eric Dye, founder of the EPN and eHealth Network, Adrian discussed how companies can leverage technology for growth, with a specific focus on the financial services sector. There has been a lot of coverage as to how millennials will adapt to being wealthy once they – as a generation – inherit the wealth left behind by their parents and grandparents. Host Eric Dye asked Adrian how the financial services industry can remain competitive into the future while dealing with a new generation who has traditionally not valued this kind of advice. “It’s one of the biggest challenges facing the industry,” Adrian said. The real challenge for the industry, according to Adrian, is for them to maintain their relevance. “Historically, the perception of financial advice and the firms has been that it’s a very stuffy environment where people do things for you, you hand over control. Of course, the generations now are not looking for that, they want input and validation, but also have access to information where they can self-help far beyond what was possible for their parents or grandparents. The challenges inherent with adapting to technology remain, which Adrian acknowledges, and hopes to inform how Practifi’s BMP evolves with time. The question remains: can you digitise the advice process? To listen to the whole podcast, click here. 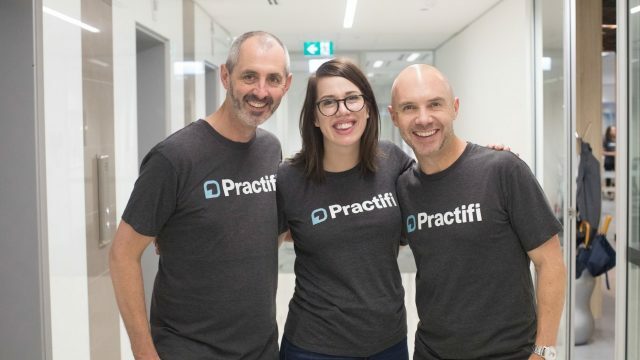 To learn more about Practifi visit practifi.com.